Budapest is one of the most beautiful and diverse cities in the world. The capital city of Hungary certainly has something for everyone, with fantastic food, a great live music scene, an abundance of arts and cultural activities, exquisite architecture, and an intriguing history that will ensure every visitor to this unique city is left with a lifetime of memories. Whether you’re looking for adventure, relaxation, exploration or a mixture of all of the above, Budapest will not disappoint. What many visitors to Budapest don’t realize is how central it is with regards to other European cities. If you’re planning a trip through Eastern Europe, adding Budapest to your itinerary will not add additional costs in terms of time or money. The fact that Eastern Europe has so much to offer makes it the perfect place for a van rental holiday – start in your city of choice and explore the delights of the entire continent at your own pace and leisure. 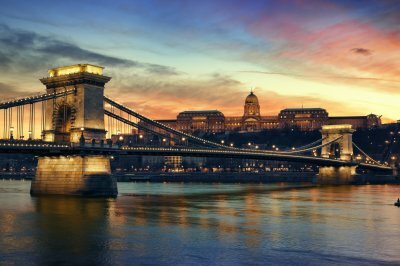 Indeed, Budapest is an ideal location for van rental – the city is relatively easy to navigate and is also now fairly spread out along the Danube River, meaning that having a rental van will help you to see more of the city than you would otherwise be able to. Rent now your minivan with www.vanrental24.com and enjoy unlimited mileage and freedom. While the various public transit systems of Budapest are relatively well developed within the city limits, they simply do not offer the freedom that organizing your own van rental and hitting the streets solo does. It only takes a little bit of planning to make your vacation in Budapest the trip of a lifetime. While visiting the city, make sure you find time to take a trip to some of the many natural thermal baths located throughout the city and its surroundings. Particularly in winter, these baths are a beautiful place to relax, unwind, experience all that Budapest has to offer and take in the exceptional views and vistas. Similarly, many visitors to Budapest are astounded at the sheer beauty of the architecture within the city. In fact, the architectural style and era of the city is partially what has led to Budapest as being referred to as the “Paris of the East”. If this isn’t enough to convince you that the city is a must see, maybe this will help: Budapest was added to the UNESCO World Heritage List in 1987, primarily for its architectural and cultural significance in the development of Eastern Europe. In particular, the Banks of the Danube River are a spectacular sight to see. Taking a stroll along the picturesque river front is a great way to take in the city and develop a feeling for the atmosphere of this historic part of the world. 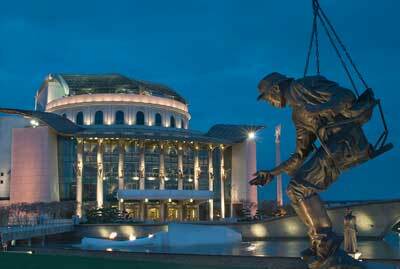 Although harrowing, be sure to leave time to see the Shoes on the Danube Bank memorial. This memorial was conceived by film director Can Togay, and was created in honor of the Jews who were killed in Budapest during World War II. Tragically, these individuals were instructed to take off their shoes, before being shot and falling into the river. The memorial is a beautiful tribute and represents their shoes that were left behind on the bank of the river. For something a little more light hearted but equally impressive, take a stroll down Andrassy Avenue, which dates back to 1872 and is lined with incredible Neo-renaissance mansions. But it’s not only the exquisite architecture that the boulevard has to offer – it’s also the highlight of Budapest in terms of shopping and dining. As you can see, Budapest has an abundance of memories and experiences to share with any visitor. Whether traveling by plane, train, or van rental, be sure to add Budapest to your Eastern European adventure.